Arts in acting from Florida State University and studied in London with members of the world renowned Complicite. Joe was an Associate Artist at Georgia Shakespeare for 16 seasons where he appeared in over 40 plays and taught in the education department. He is also a frequent guest on the Alliance Stage and has taught in their education programs. 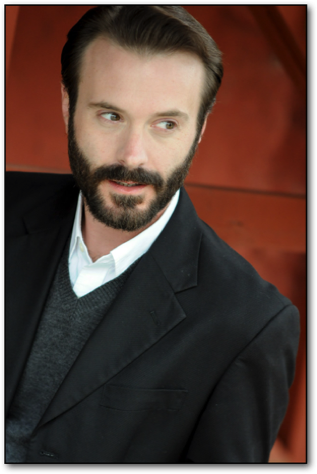 Joe has also played at Horizon Theatre, Theatrical Outfit, Theatre in the Square, Aurora Theatre, Synchronicity, Théâtre du Rêve, Boise Contemporary Theatre, New Theatre, Arizona Theatre Company, and San Jose Rep. In addition to his work on the stage, Joe has appeared on the small screen in Bessie, Red Band Society, The Vampire Diaries, Mercy Street, Resurrection, Sleepy Hollow, Under the Dome, Revolution, Devious Maids, Teen Wolf, Drop Dead Diva, Franklin & Bash, Necessary Roughness, One Tree Hill, The Anna Nicole Story and The Librarian: Curse of the Judas Chalice. On film: The Change Up, Parental Guidance, 42, The Last of Robin Hood, and Allegiant.